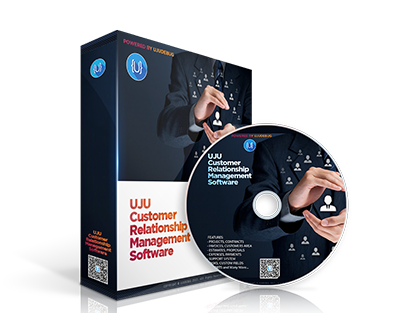 UJU CRM is complete Customer Relationship Management software that is a great fit for almost any company, freelancer or many other uses. With its clean and modern design, UJU CRM can help you look more professional to your customers and help improve business performance at the same time. •	Manage and invoice projects with the powerful Project Management Feature. •	Link tasks to many UJU CRM features and stay organized. •	Build professional, great looking estimates and invoices. •	Powerful support system with ability to auto import tickets. •	Track time spent on tasks and bill your customers. Ability to assign multiple staff members on task and track timer per assigned staff. •	Add task followers even if the staff is not project member. The staff member will be able to track the task progress without accessing the project. •	Keep track of leads in one place and easily follow their progress. Ability to auto import leads from email, add notes, create proposals. Organize your leads in stages and change stages easily with drag and drop. •	Create good looking proposals for leads or customers and increase sales. •	Records your company/project expenses and have the ability to bill to your customers and auto convert to invoice. •	Know more about your customers with powerful CRM. •	Increase customer retention via built-in Surveys. •	Use the Goals Tracking feature to keep sales goals in mind. •	Create announcements for your staff members and customers. •	Use Contracts feature to lock in current and future sales. •	Custom fields can store extra information for customers, leads and more. •	Receive payments from PayPal and Stripe in different currencies. •	Tons of configurable options. 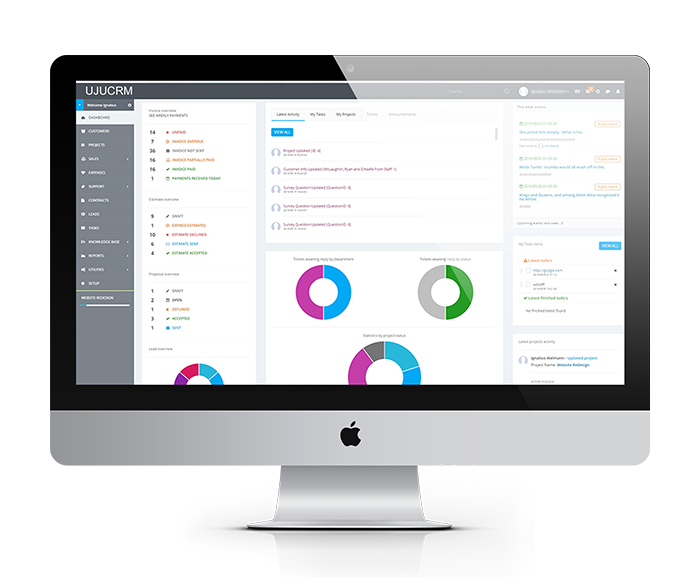 •	Style the CRM to your company branding with the powerful theme styling feature. •	Separated media folder for non-admin staff members to work inside the CRM and organize their uploads and files. •	Great looking calendar for each staff member based on staff permissions. •	Follow ups, reports, notes, files and many more features. CRMs need to focus on customers and UJU CRM does that with a powerful support system that helps you track and resolve issues quickly via the integrated ticket system and customer reminders. Assign reminders to yourself, one or many staff members and with one click, reminders can be sent to email and in-app notification system. These features and more can take customer satisfaction to the next level. UJU CRM has many features designed to fit many applications. Read more about the features below and try the demo to see how UJU CRM can help you succeed. Great support system that helps you track and resolve issues quickly with ability for auto open ticket from email, insert knowledge base link, add predefined replies. Tasks can be related to mostly all-important features. Create knowledge base articles and organize them in groups. Help your customers and build trust. Generate reports and have clear view of everything. Keep track of income vs expenses and leads conversions. Knowledge base report included.